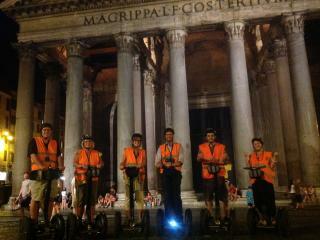 comment Join the Segway Revolution! 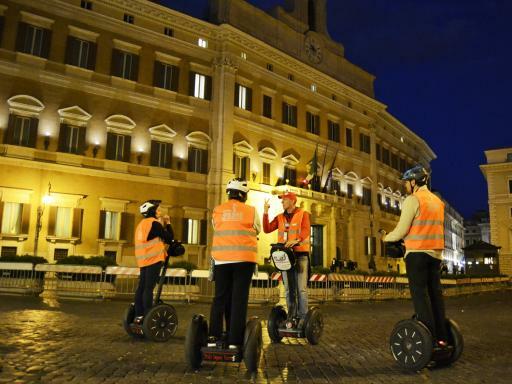 At night, Rome is unparalleled by any city in the world as you'll discover as you glide along the streets aboard a segway taking in famous illuminated sites such as the Pantheon, the Temple of Hadrian, the Trevi Fountain and the Spanish Steps. 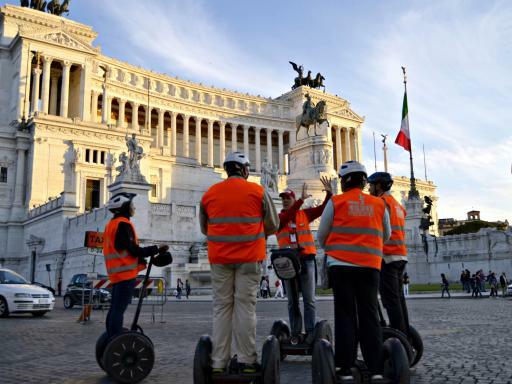 After a short safety and orientation session, your guide will lead you on a segway tour of famous Roman sites and seeing the Eternal City at its most beautiful, lit-up best. 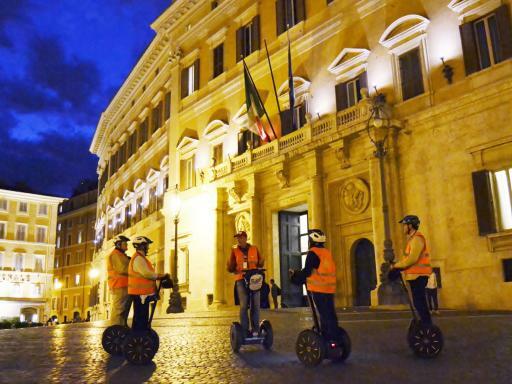 After a long day of sightseeing, hop on a fun and effortless Segway to cruise through the magical streets of Rome in the twilight of evening. Explore this magnificent city as the sun sets, bringing a whole new glow to the famous monuments you've come so far to enjoy. 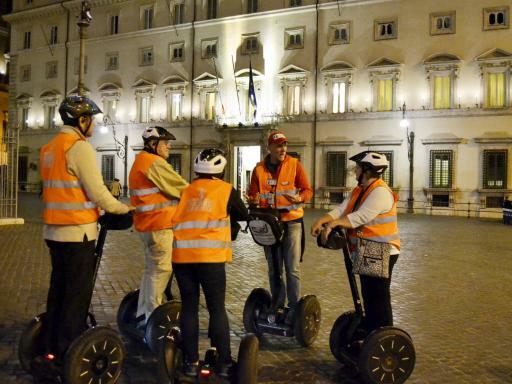 On the Rome Night Segway Tour, you'll learn lots of fun and fascinating stories, receive a thorough training and orientation, and stand in awe of the rich history steeped in the streets and monuments of Rome's ancient past. 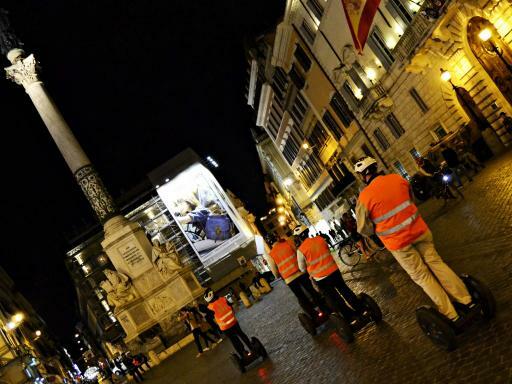 Rome is magnificent at night, and the most fun and easiest way to see it in all its glory is by zipping around on a Segway! 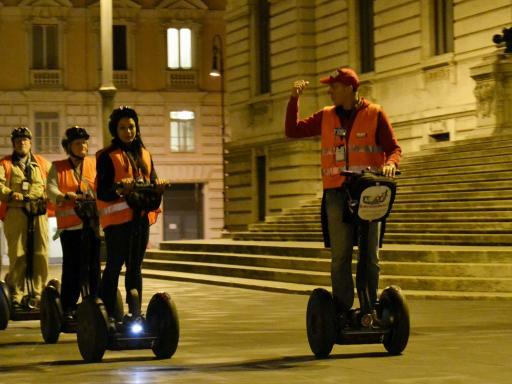 You'll get two and a half hours of a fun guided tour around the historical city center to see its most famous attractions lit up at night. 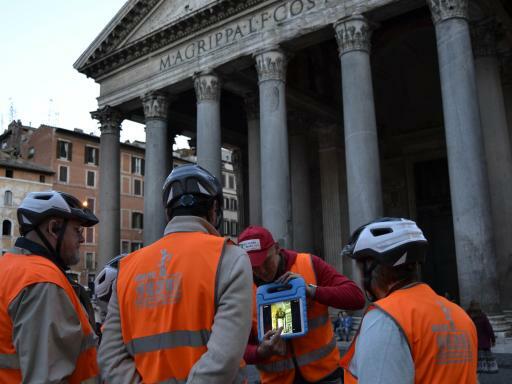 Departure Location: Via dei Delfini 35/36 Roma 00186. Start Times: November to March: 4.30pm; April, May, September & October; 7.30pm; June - August: 8.00pm. Rain policy: This tour goes on rain or shine. 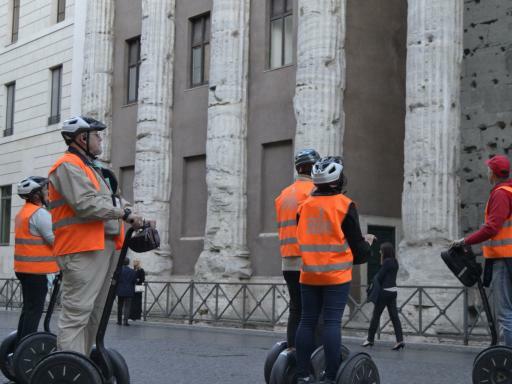 In case of heavy rain, the company may decide to stop the Segway tour and proceed with a walking tour instead. Due to the risk involved to child and mother, pregnant woman are not allowed to participate in Segway tours.